It's hand drawn, vectorised and worked up in AD. Using: Mac OSX El Capitan 10.11.6 on a Mac Mini (late 2014). Wacom Bamboo. Mouse. Lovely stuff. Great to watch an expert at work. I love scooters. Have owned a few in my life. 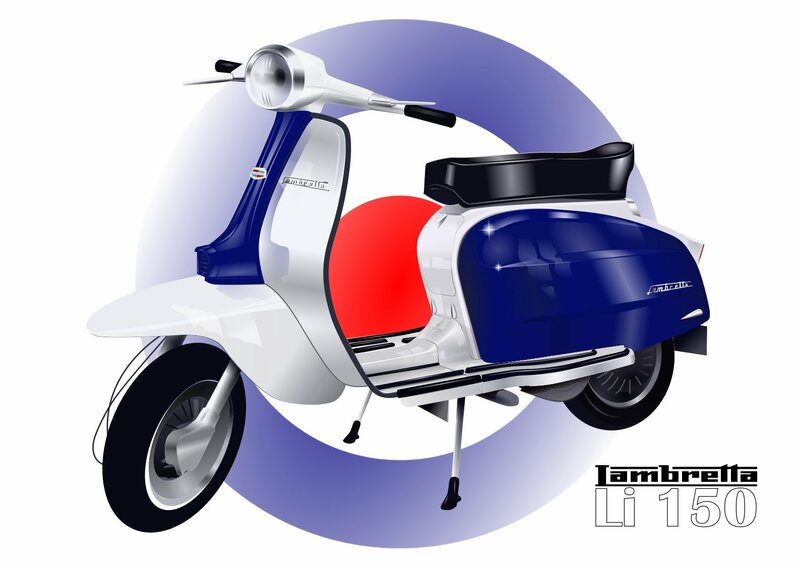 My favorite was my Lambretta Li150, which I tooled around on during the late 60's. I did an illustration of it a few years ago, using the old Serif DrawPlus. ABSOLUTELY wonderful! The creative concept is fabulous too! Love it! 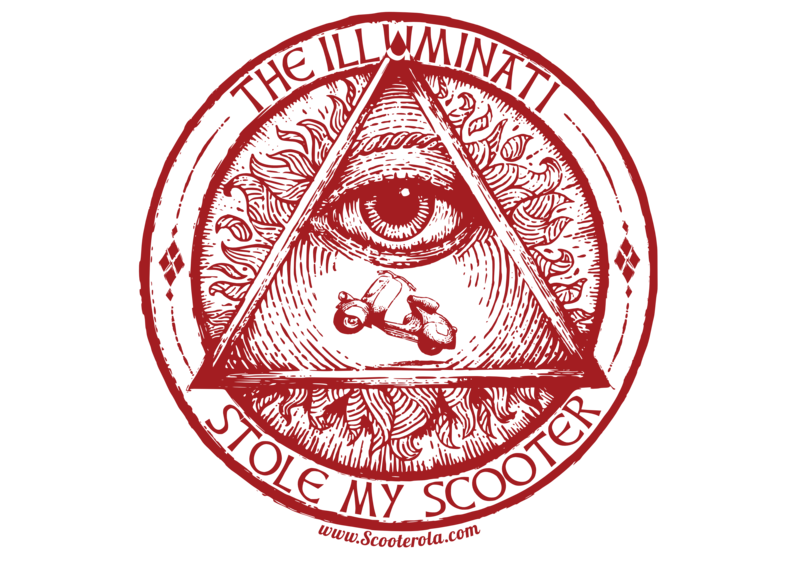 I prefer my scooters in their original livery now. Thank you Libbey! I really appreciate that. Thomas Covenant the Unbeliever. Yes, I read those myself. Really excellent books. I was also a big fan of Michael Morcock. Thomas Covenant the Unbeliever. Yes, I read those myself. Really excellent books. I was also a big fan of Michael Morcock﻿. I haven't read Moorcock. He's added to the list of holiday reading. Very good. I missed the part showing the step between drawing and digital image. The original fitted into my A4 scanner, so I scanned it at 150dpi and vectorized it using a Mac app called Image Vectorizer. That bit was simple.